It's here!! It's here!! Oh my sweet goddess Ninkasi, who sleeps on a bed of the floofiest foam and cleanses her body in the purest of ales, Yuengling is here! It's here!! It's here!! It's here!! 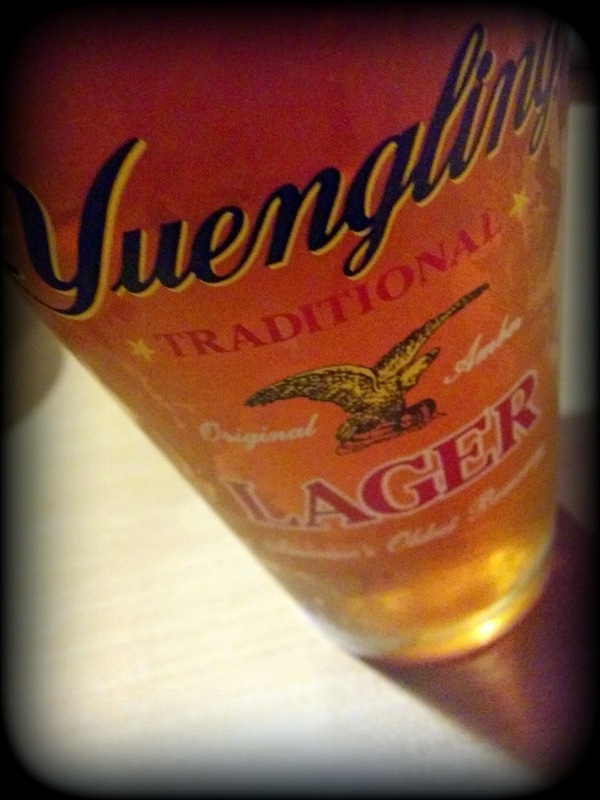 I remember the last time I had Yuengling on tap. 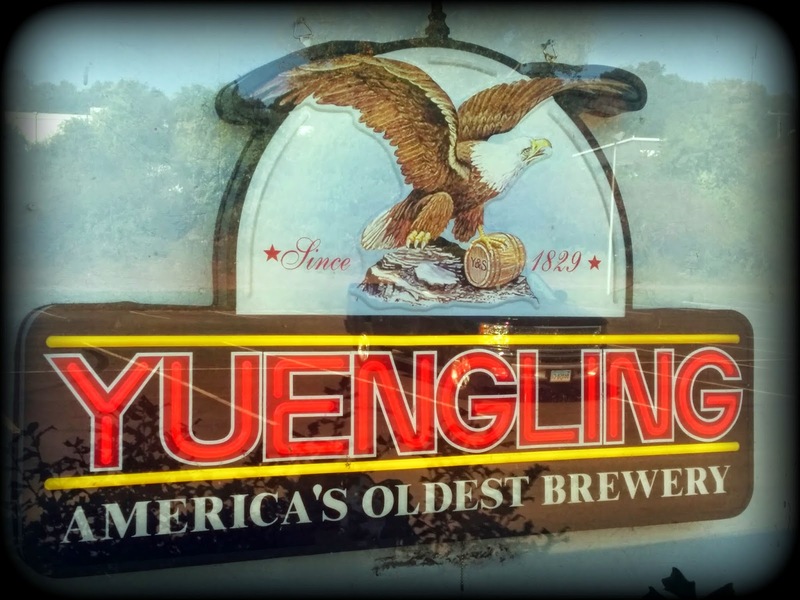 It was in Pennsylvania many years ago at a little neighborhood dive bar in Lancaster County that served up ice cold Yuengling and the rockin'est ribeye! 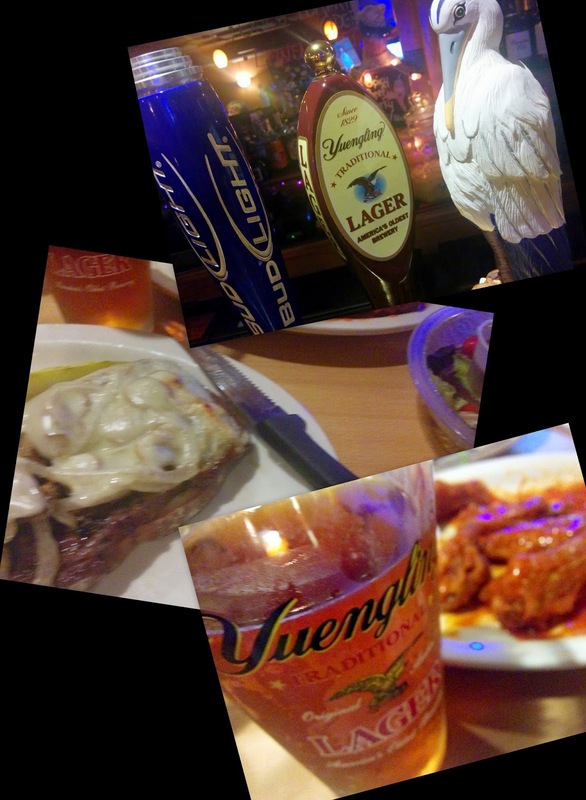 Flash forward 15 years and here I sit in my favorite little neighborhood bar - Porky's Cafe - once again drinking Yuengling on tap and nomming a wicked good ribeye steak! Serendipity is what it is! !